She is known the world over by her first name and as the undisputed, reigning "Queen Of Soul," Aretha Franklin is peerless. This 2005 recipient of a Presidential Medal Of Freedom honor (the U.S.A.'s highest honor), 17 Grammy Awards (and counting), a Grammy Lifetime Achievement Award and a Grammy Living Legend Award. 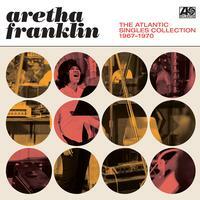 The Atlantic Singles Collection 1967-1970 features singles which Franklin released during her first three years with Atlantic Records. Both LPs are flat and quiet. I’m not sure if this is all analog although it sounds like it. This mono remaster is superb and bass has plenty of punch but no distortion.